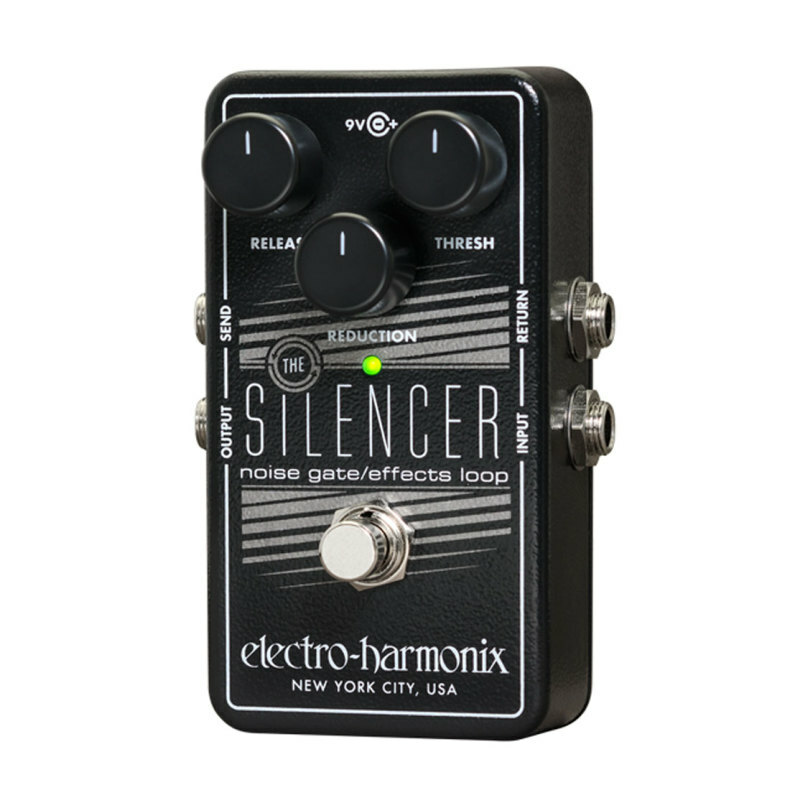 A sophisticated noise gate that can tame a single pedal or an entire effects loop! The Silencer?s three-control layout provides precise fine-tuning to fit your system, axe and playing style. Threshold adjusts how much level is required to open the noise gate and allow a signal to pass thru. Reduction regulated the degree to which the gated signal is reduced and is variable between -70dB and +4dB. Release controls how long the gate remains open after the signal drops below the Threshold. Release time is variable between 8ms and 4 seconds.